The offseason is officially here and the Kansas City Royals began Wednesday with two roster moves, declining the option on pitcher Jeremy Guthrie, and outfielder Alex Rios. Guthrie has been a mainstay with the Royals for several seasons, but his age, declining pitching performance, and a final year remaining on a a 3-year, $25 million contract. Rios, who performed well for the Royals in the playoffs, was due $12.5 million in 2016, and with the Royals likely wanting to sign Ben Zobrist and hopefully work out a new deal with Alex Gordon, Rios became too much of a financial weight heading into next season. Both players had become fan favorites, and after winning a World Series, you hate to see players which played a role in that process, leave, but if it means keeping your core group together for the next several seasons, the move to release those two is well worth it. The most pressing issue at the moment is Zobrist and Gordon. Zobrist came to the Royals at the trade deadline and immediately made a major impact. During the playoffs, Zobrist made a case for MVP honors with his play both offensively and defensively. 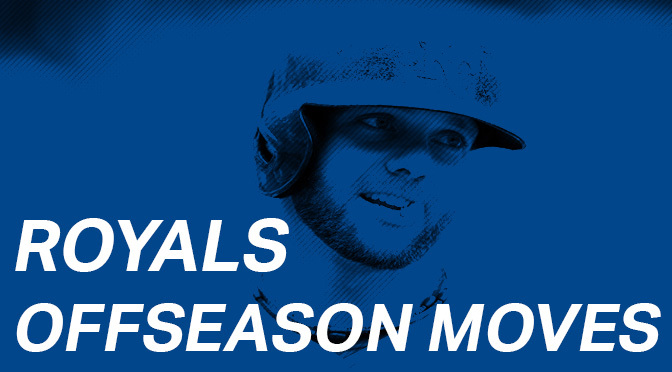 He also appears to be the perfect player for an organization like Kansas City has built under Dayton Moore, and by all accounts, enjoys playing for the Royals. Gordon is quite possibly the most popular player the Royals have had since Bo Jackson. Having been the face of the organization since his arrival, a local player playing for his favorite team, and the best left-fielder in baseball, fans would give anything to see Gordon get a new deal and end his career with the Royals. Gordon has said he wants to stay, and the Royals would love nothing more than to keep him, but they will either need to significantly increase the overall payroll, and/or hope Gordon is willing to take a at least a slight home-town discount to stay, understanding that the team is wanting to make sure the money is there to sign its younger players to long-term deals. It would seem likely David Glass and Dayton Moore will do what they can to keep Gordon in KC, but at the end of the day, the business side of baseball and professional sports needs to take place and the team will do what it feels is best for the long-term. A player which is most certainly headed elsewhere is pitcher Johnny Cueto. Despite a rough regular season with the Royals after coming over from Cincinnati, and poor outing in Toronto, Cueto pitched a gem against the Astros, and pitched a 2-hit, complete game against the Mets in game 2 of the World Series. Add in his overall resume as a professional pitcher, and Cueto is likely to command $100 million-plus over a possible 5-6 year deal with another team. The Royals simply won’t pay that type of money for Cueto, and are in need of addressing other aspects of their roster. With Cueto headed out, Kansas City will need to find itself a front-line starter for next season. Edinson Volquez, Yordano Venture, Chris Young or Kris Medlen, and the return of Jason Vargas will make up the rest of the rotation, but you can expect Dayton Moore to go out and get a quality pitcher to possible take the No. 1 starting role. As the offseason rolls on, fans will keep an eye on Kansas City and what the front office elects to do with a group that showed what a true champion should look like.